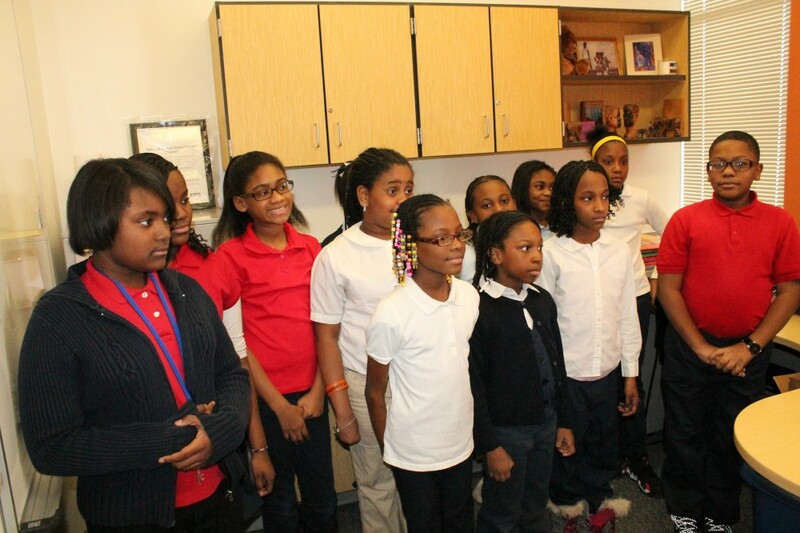 Every morning at Samuel Gompers Elementary-Middle School, the microphone is handed to the Gompers Broadcast Team, an energetic group of students who do not skip a beat on updating the school with current weather conditions, sports statistics, and of course the word of the day. 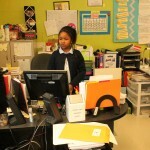 At Gompers, it is evident that students are taking charge of their futures. 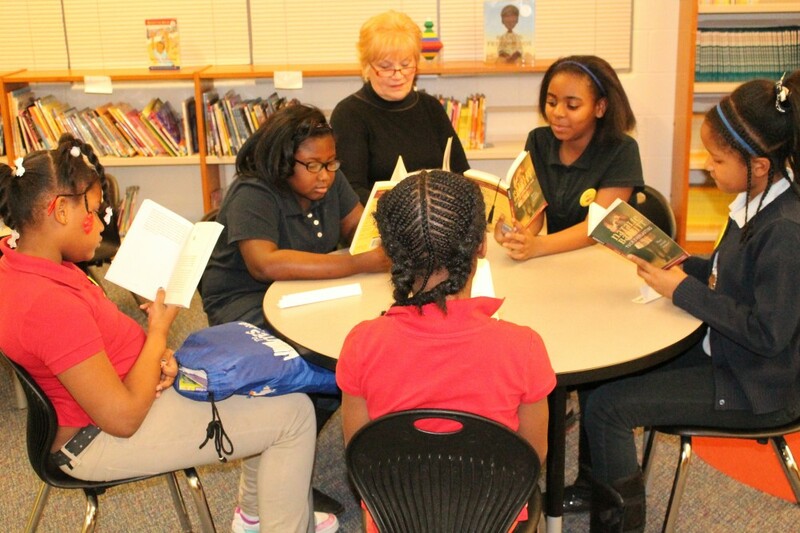 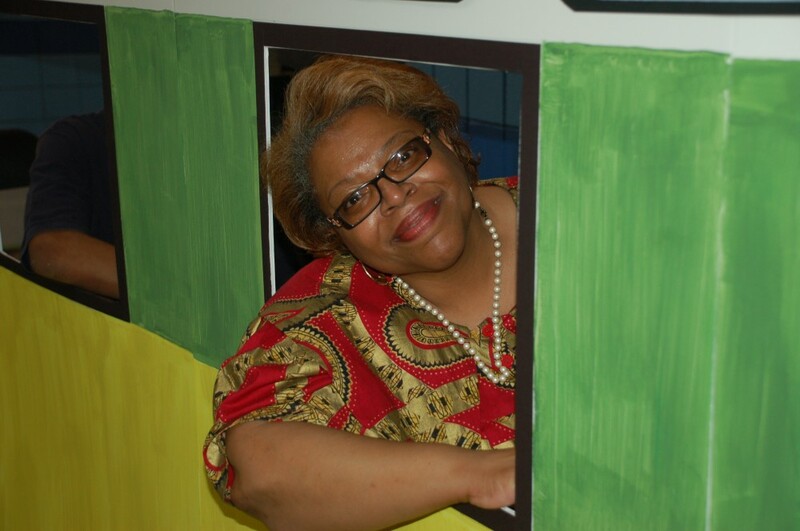 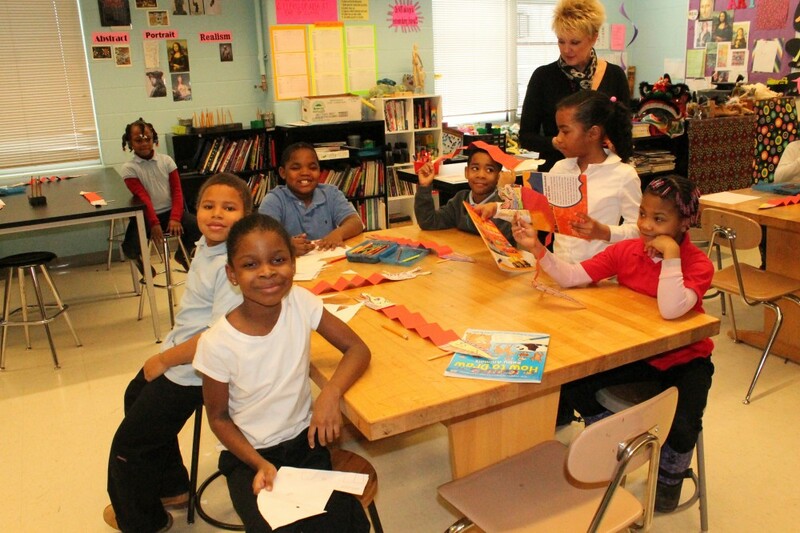 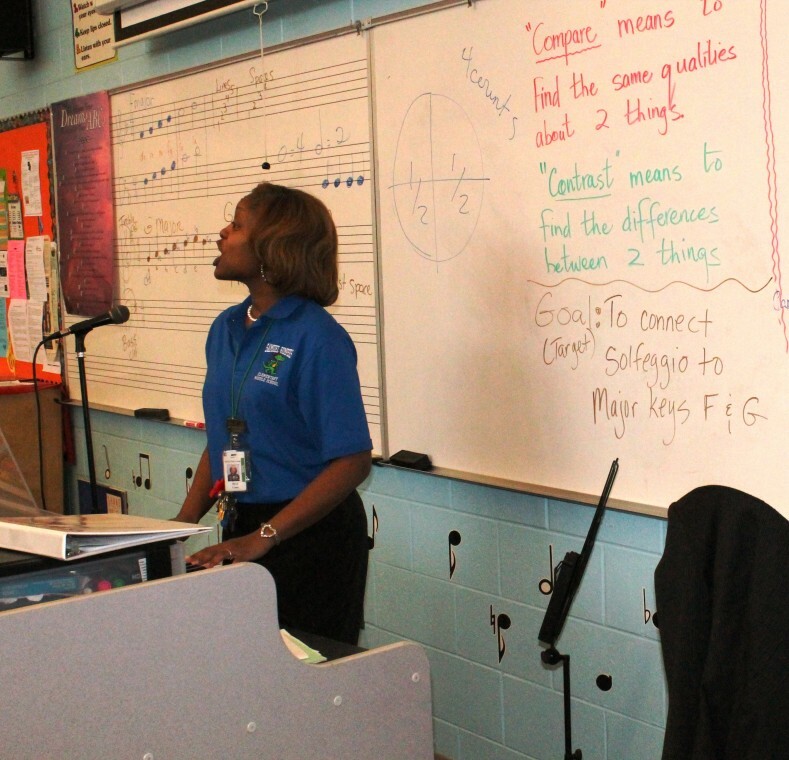 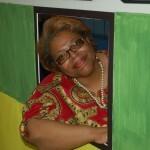 There are three main points that staff focus on, says Principal Bobbie Posey-Milner. 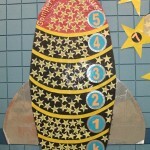 Those points are teaching, learning and the child. 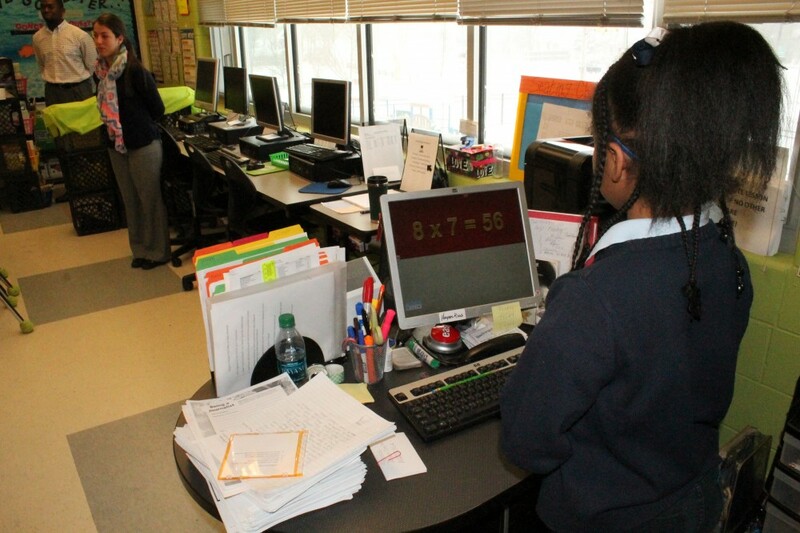 With more than 900 students who attend Gompers, Posey-Milner says she strives to create a learning community that has a laser-like focus to help students reach the next level in their academic careers. 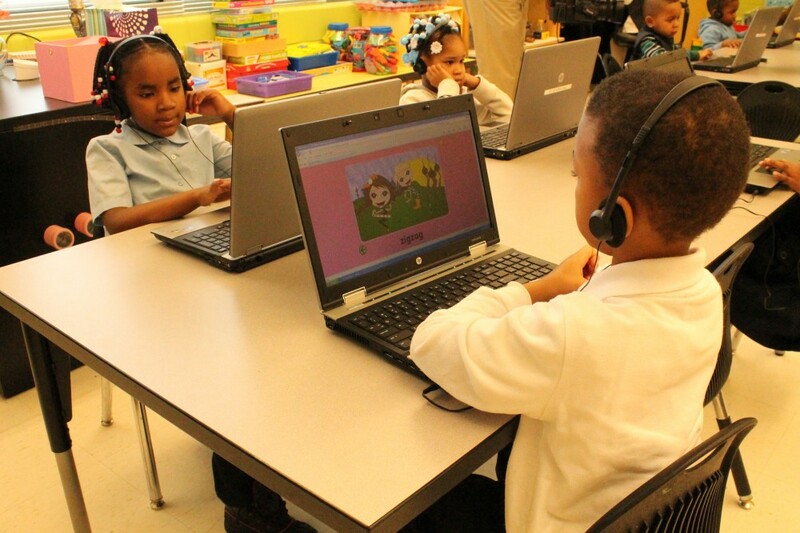 Gompers boasts National Board Certified Teachers and utilizes the Home-School-Community collaboration approach to ensure student success. 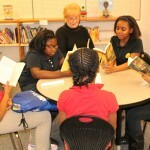 The new $21.4 million building opened in the Brightmoor neighborhood in 2011 on the site of the former Harding Elementary School on the city’s west side. 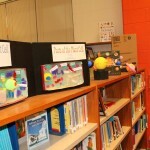 Classrooms designed for art and science programs are located on the first floor of the middle school wing. 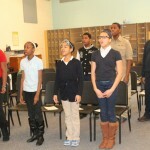 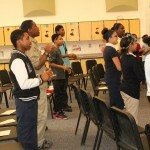 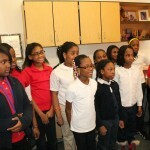 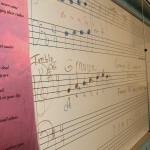 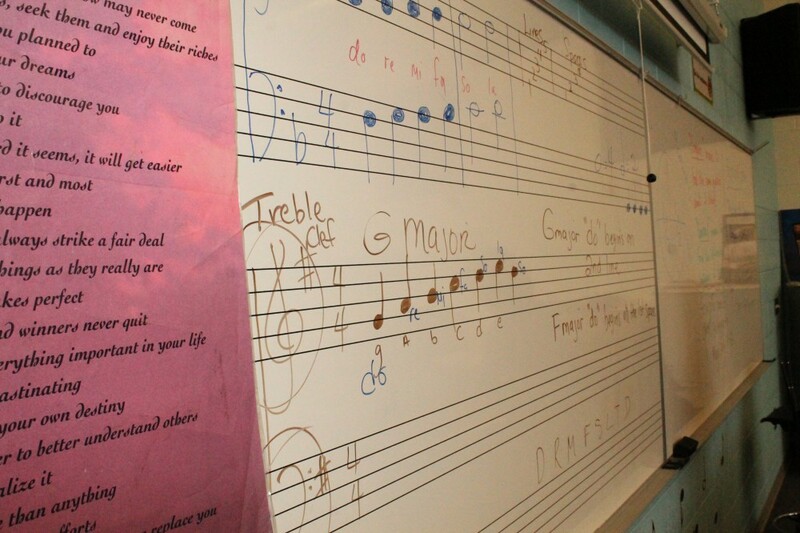 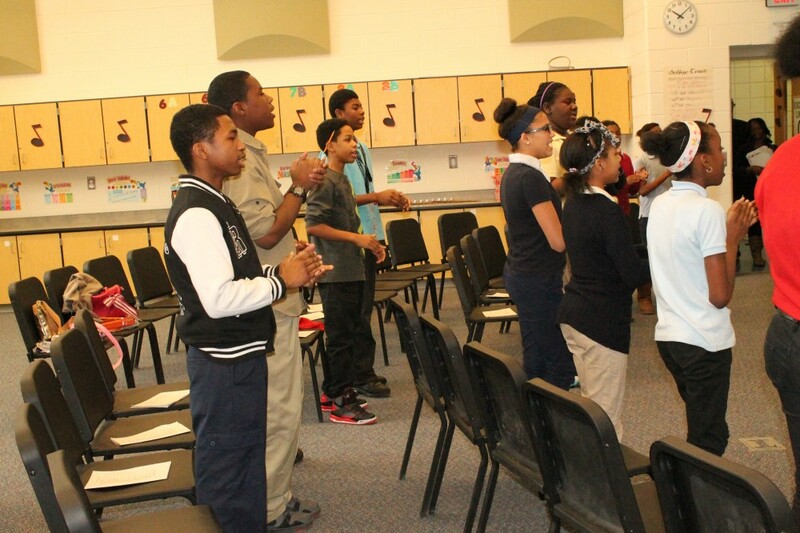 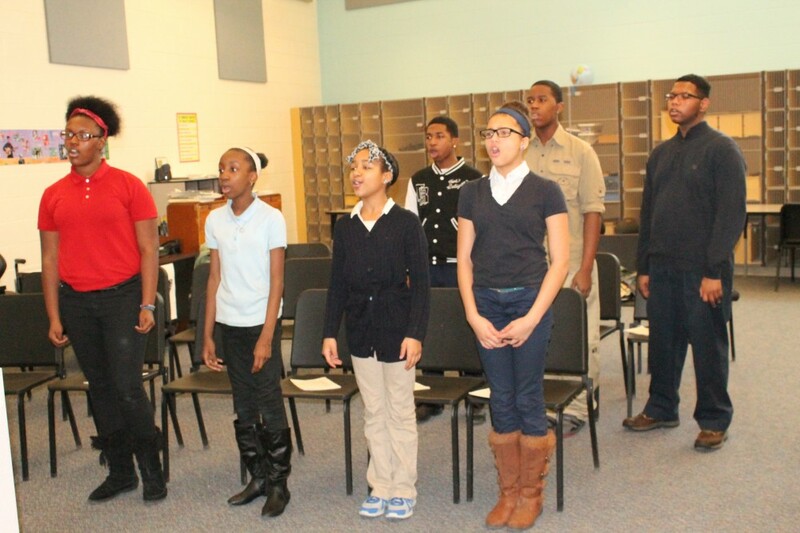 Gompers also offers music courses and a choir. 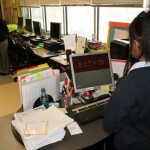 Take a walk into the school’s media center on any given day. 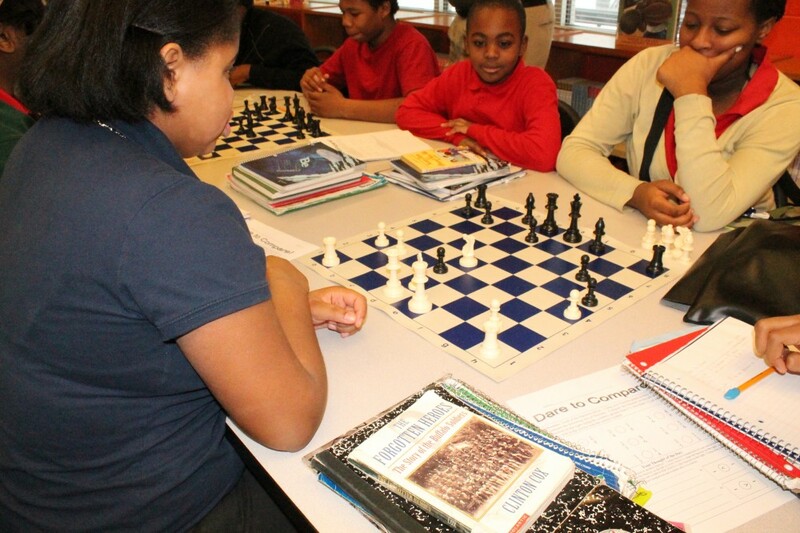 One will find studious readers, witty chess players and even a sneak peek at the Gompers Future City award-winning model. 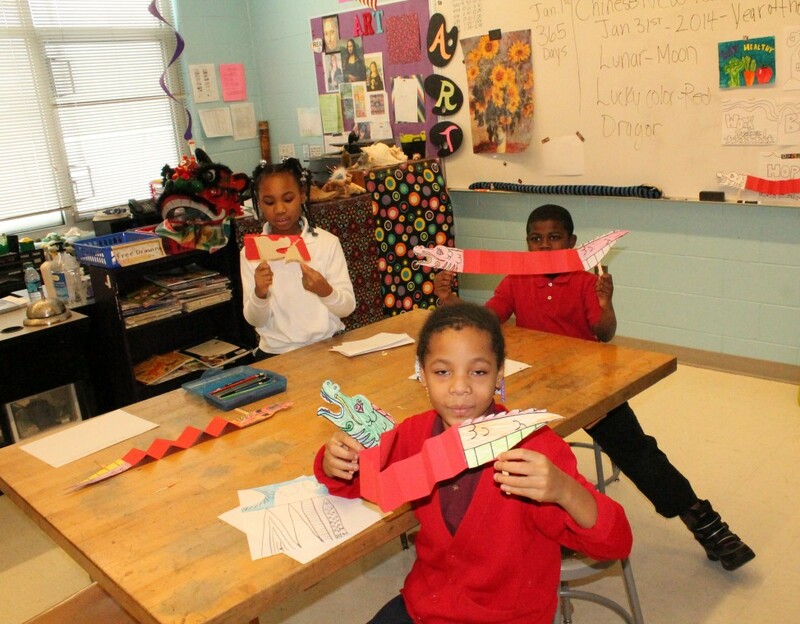 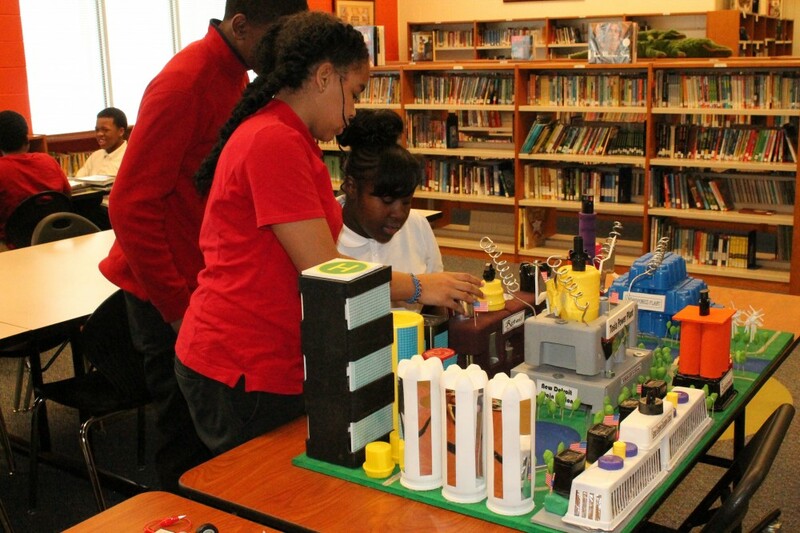 According to the Engineering Society of Detroit, Future City is a cross-curricular educational program where students in 6th, 7th and 8th grades imagine, design, and build cities of the future. 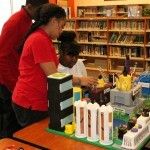 Students work as a team to design a virtual city using SimCity software. 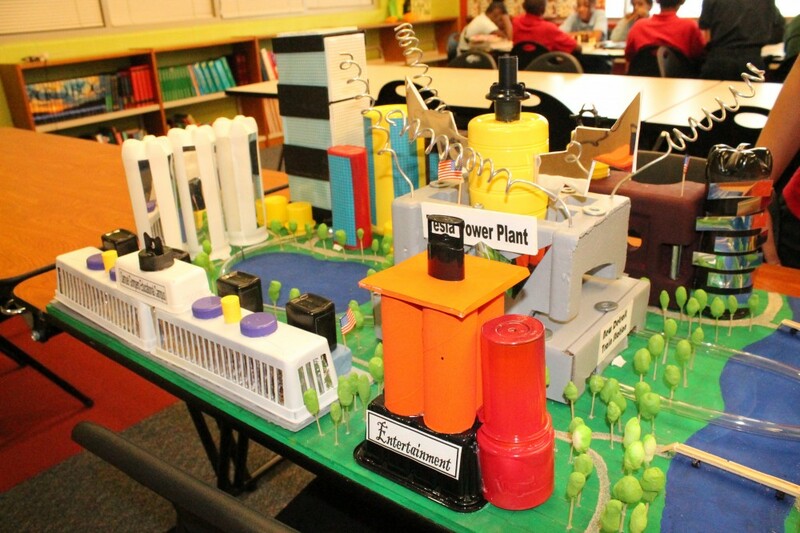 Students are to research and write an essay addressing a theme; build a model of their city using recycled materials; write a narrative promoting their city; and present their city before a panel of judges at a regional competition. 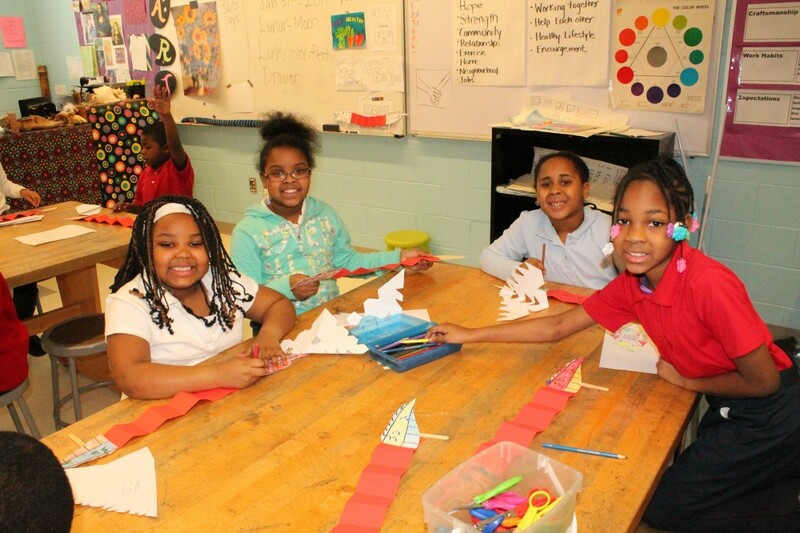 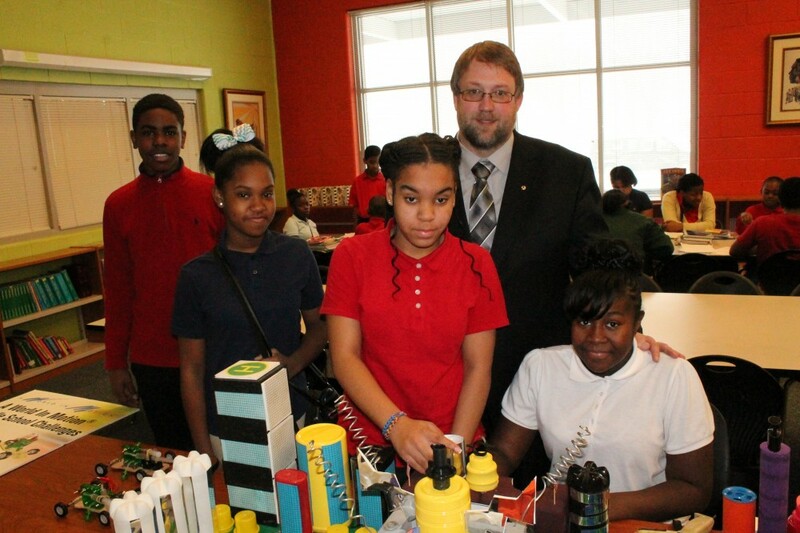 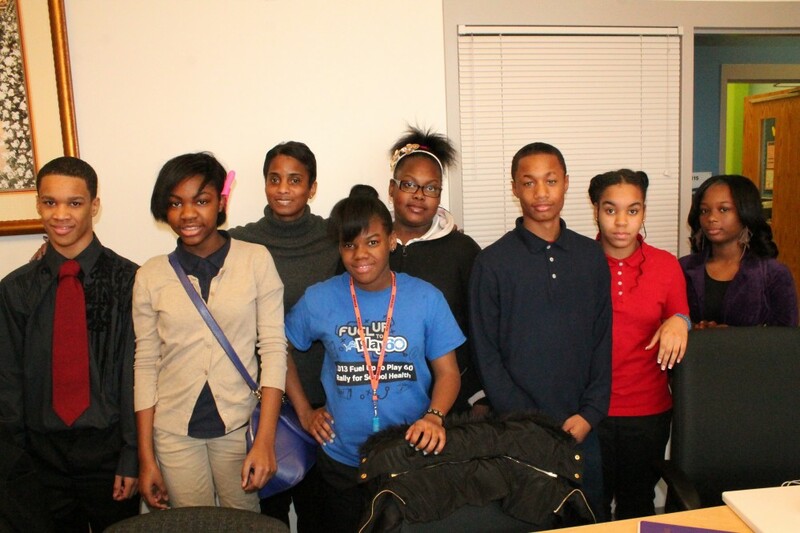 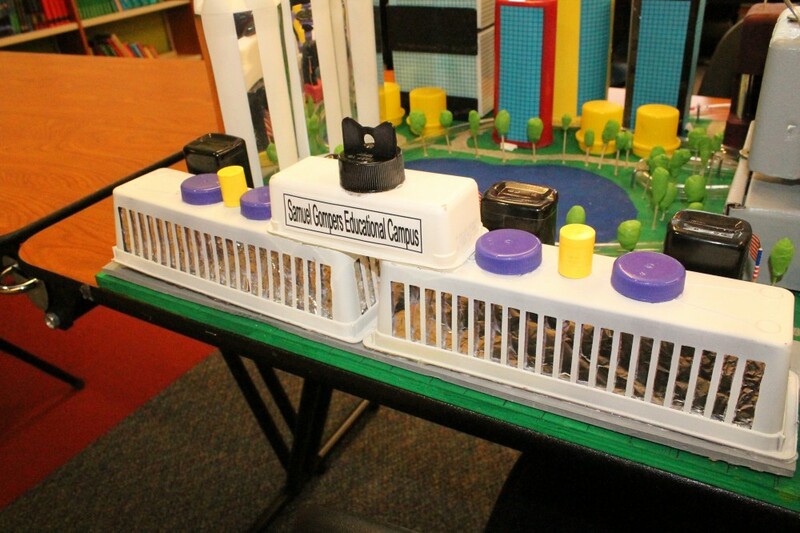 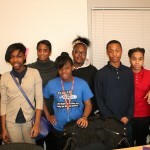 Gompers students dedicated 2-3 days per week—over a four-month span—resulting in the team winning the 2014 Best Communication System Award for their Detroit Future City. 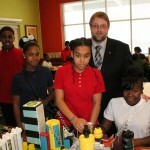 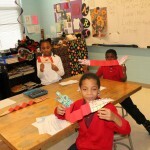 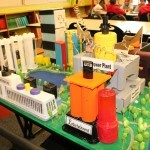 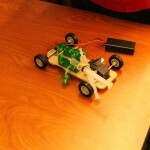 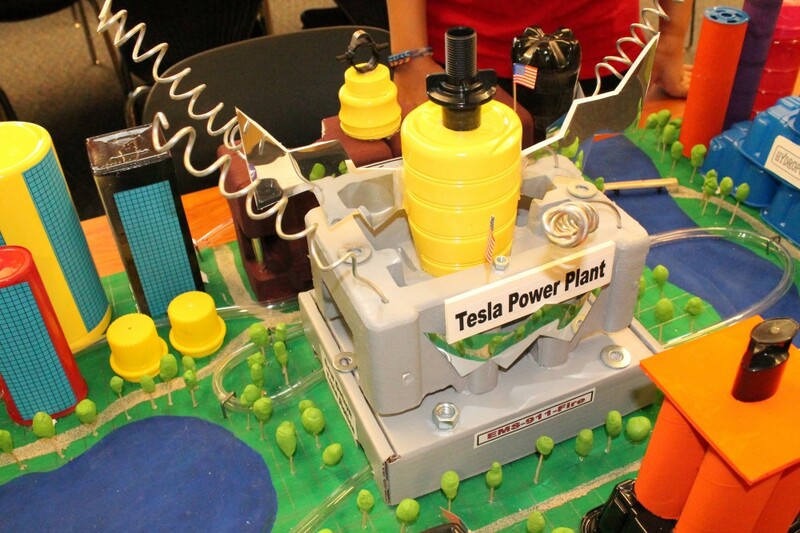 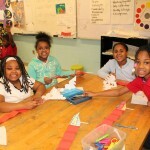 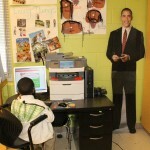 “Future City is a great opportunity to utilize their S.T.E.M.-based learning. 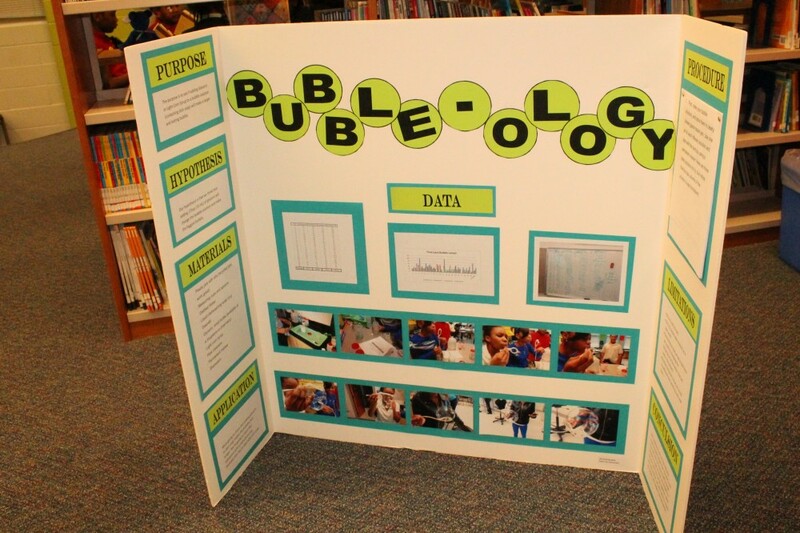 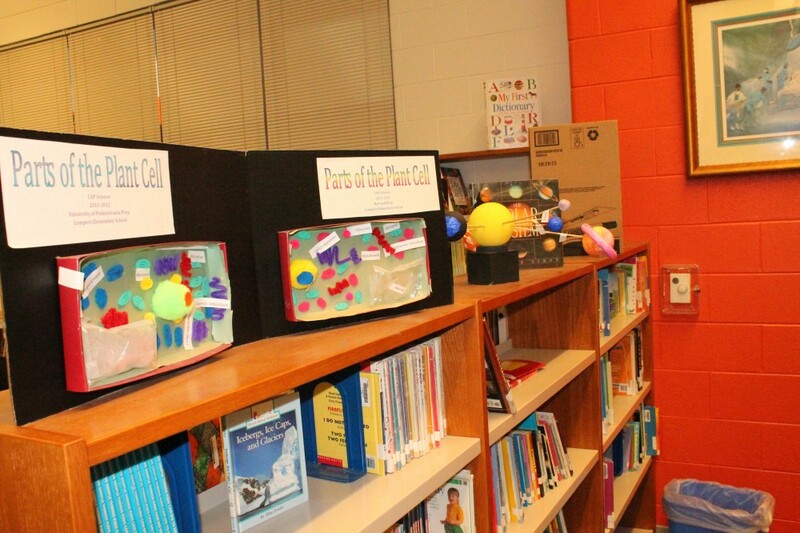 When participating in programs such as Future City, students have the chance to take subjects like science, math and physics to another level as they are often designing, building and presenting their projects to judges who are experienced in these areas,” says Science Teacher Derek Sale. 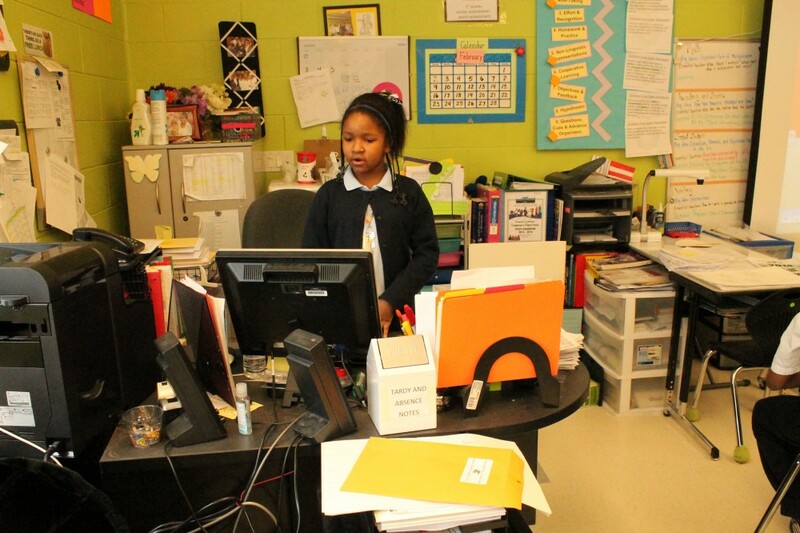 According to Assistant Principal Robert Walker, in order to stay on top of a successful program, instructors and students need to be data-conscious. 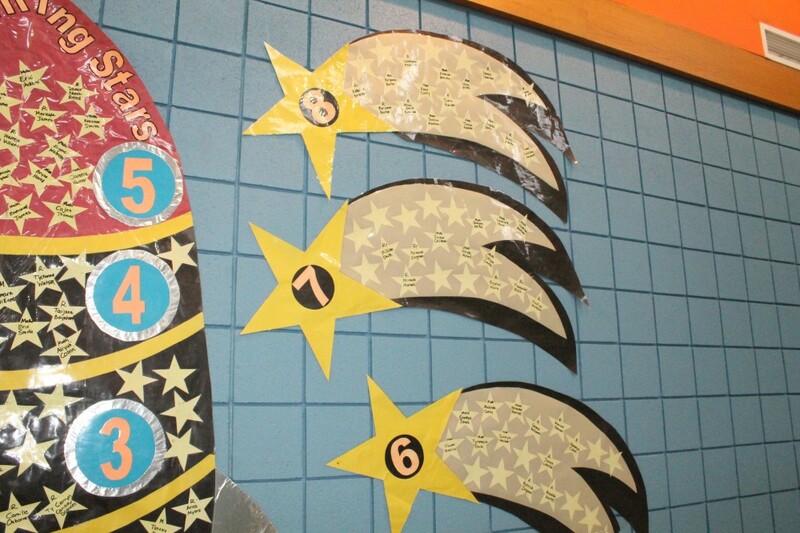 The Gompers Shining Stars Program was created to showcase students who are excelling in accelerated programs such as reading and math. 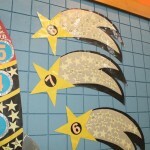 As students receive stellar test scores in these advanced subjects, their names are placed on a star and displayed for the entire school to see. 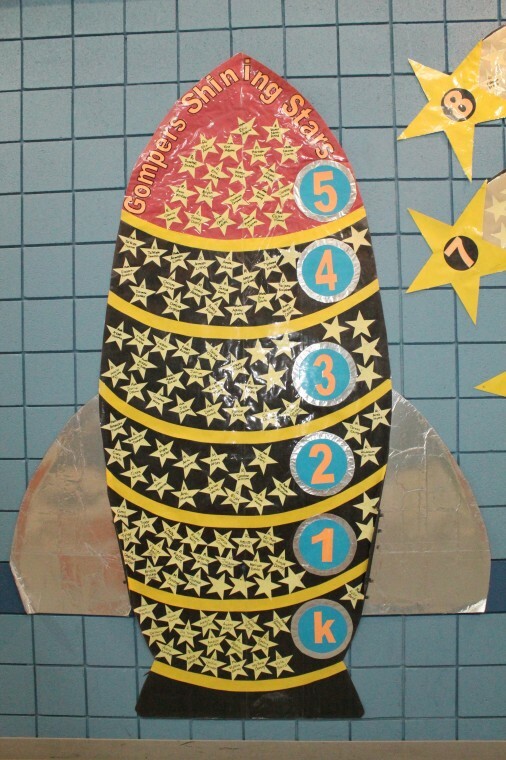 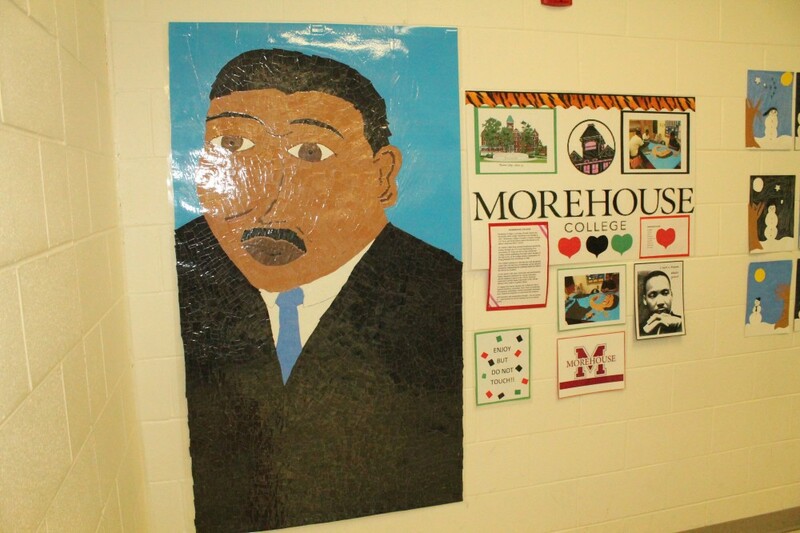 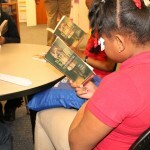 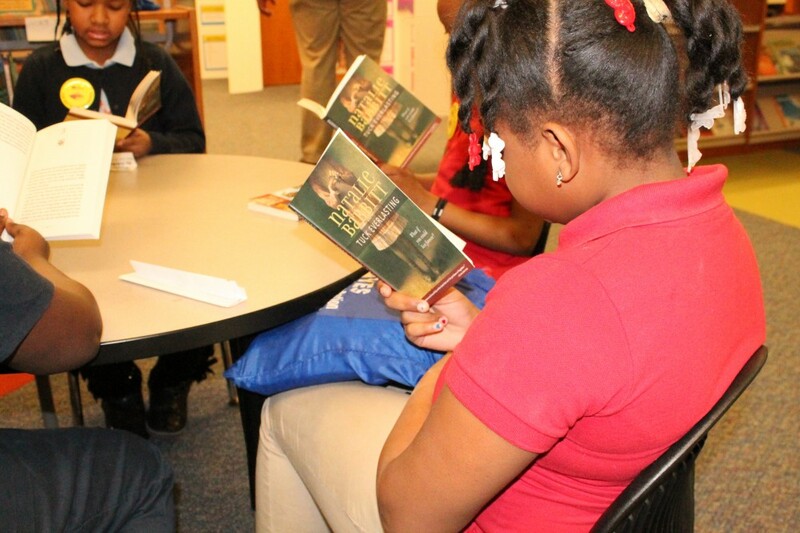 “Gompers Shining Stars is a great piece to demonstrate the importance of data. 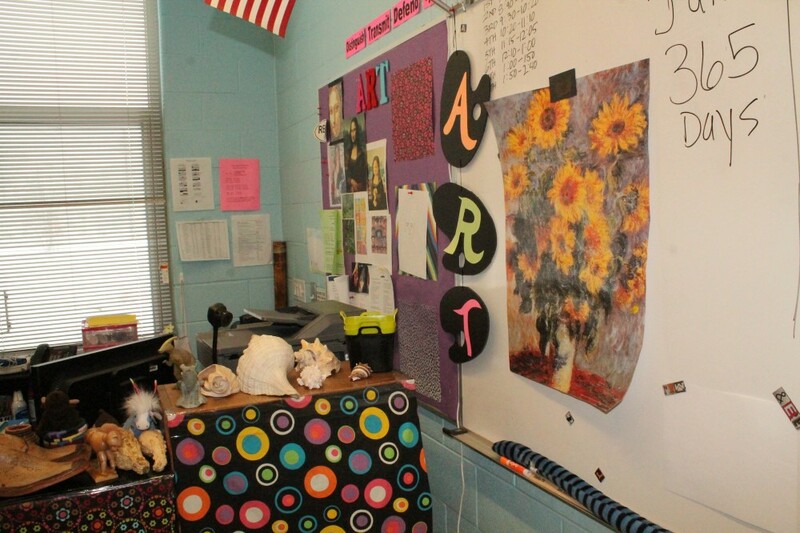 Students know exactly where they are academically at all times because they, too, need to know and take ownership of their performance,” Walker says. 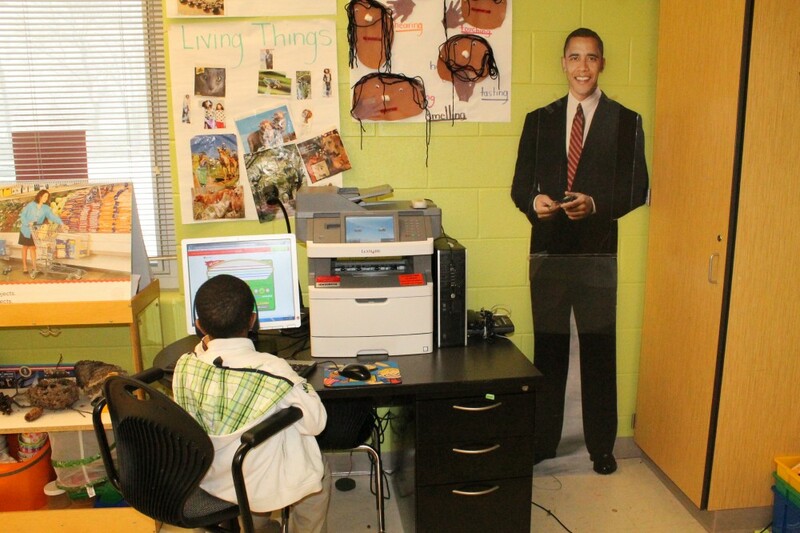 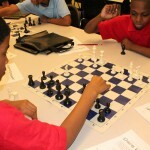 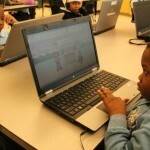 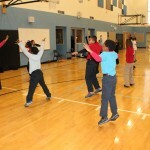 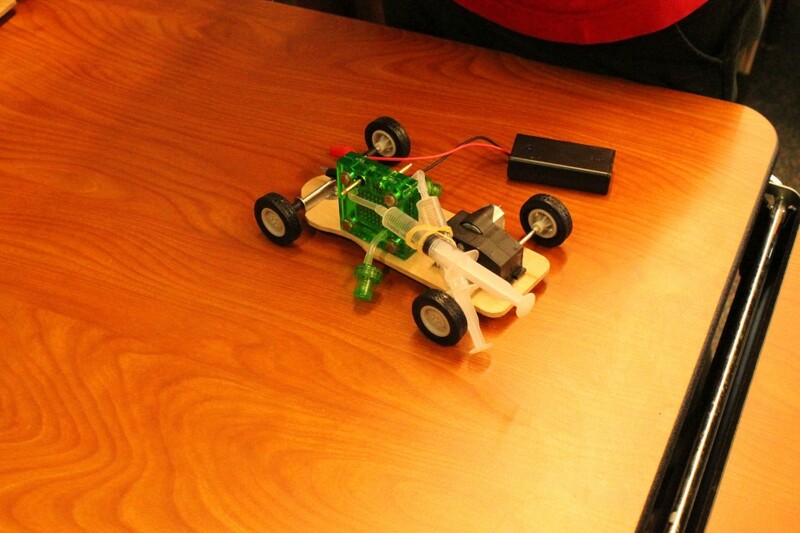 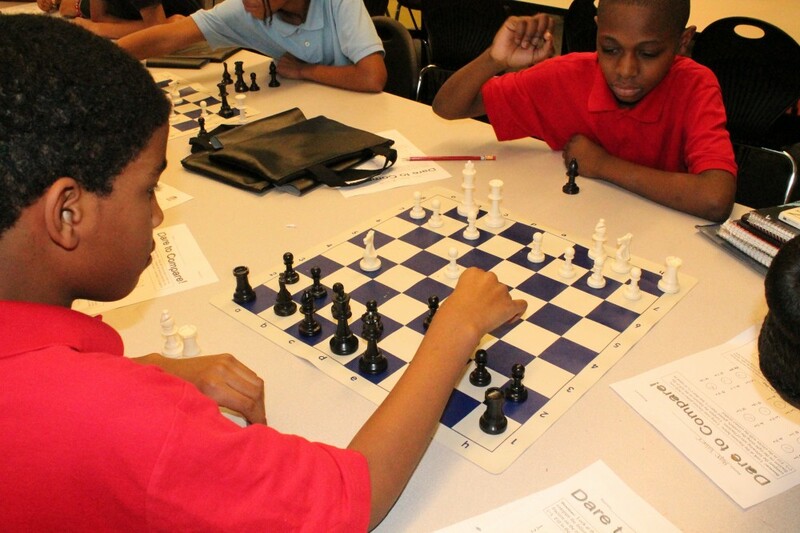 Gompers’ innovative staff is constantly incorporating new and exciting techniques to entice students to continue striving for excellence. 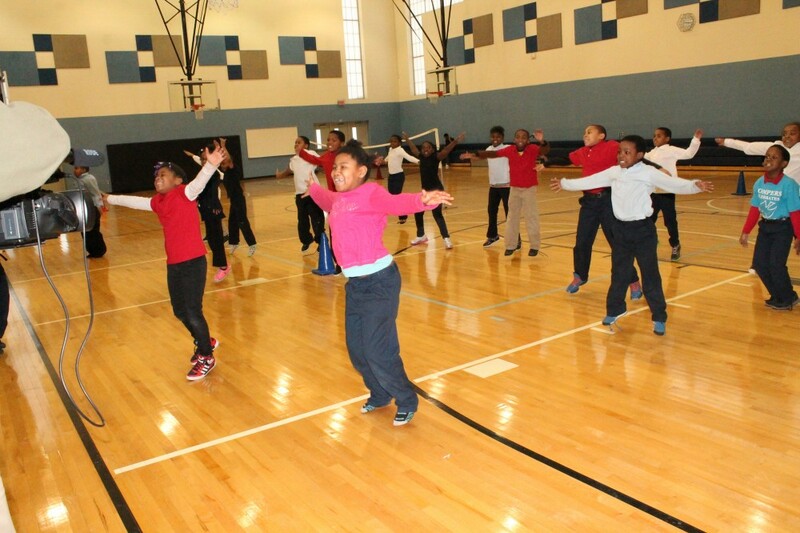 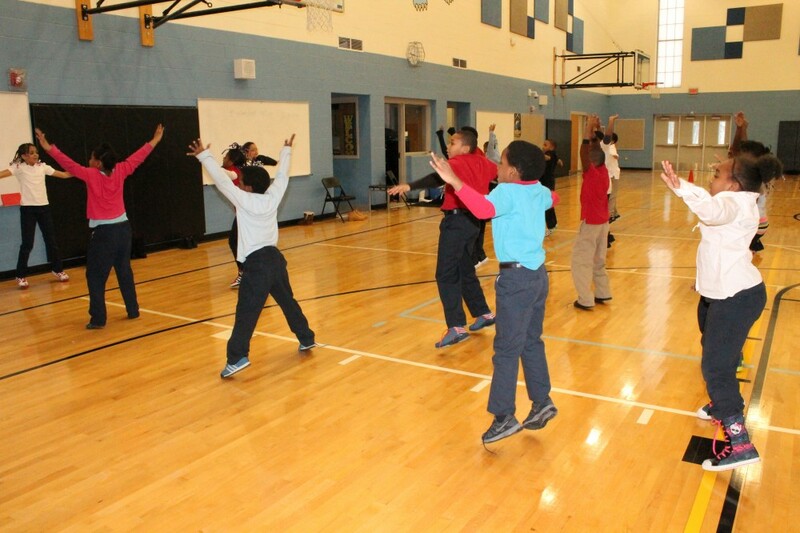 Fourth-grade Math Instructional Specialist Christian Winston has his students practice multiplication tables by participating in a student-led hip-hop multiplication drill to music. 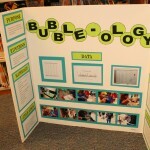 “This is a proactive method to learning material that also showcases how well they are retaining the information. 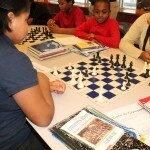 Students prove their knowledge of the material. 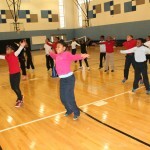 This is why they get to lead the drills themselves, and of course the music keeps it interesting for the students,” Winston says. 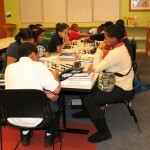 The Gompers community would not be complete without the help of many parent volunteers, particularly male volunteers. 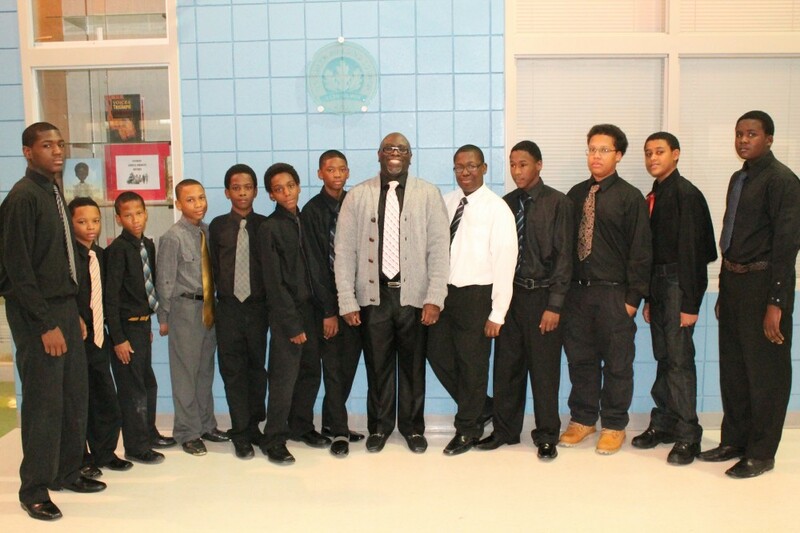 From staff to coaches, the male presence in the school is extremely uplifting and a fresh example for male students. 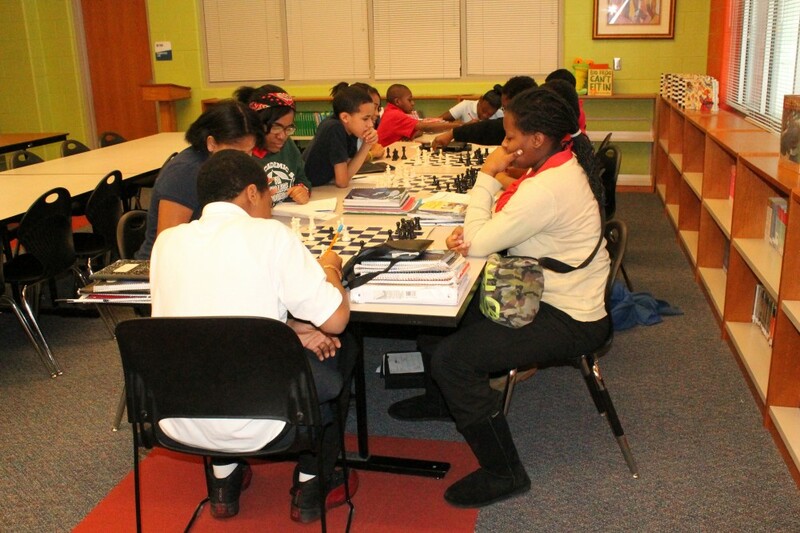 “So many fathers teach, volunteer and help here at Gompers. 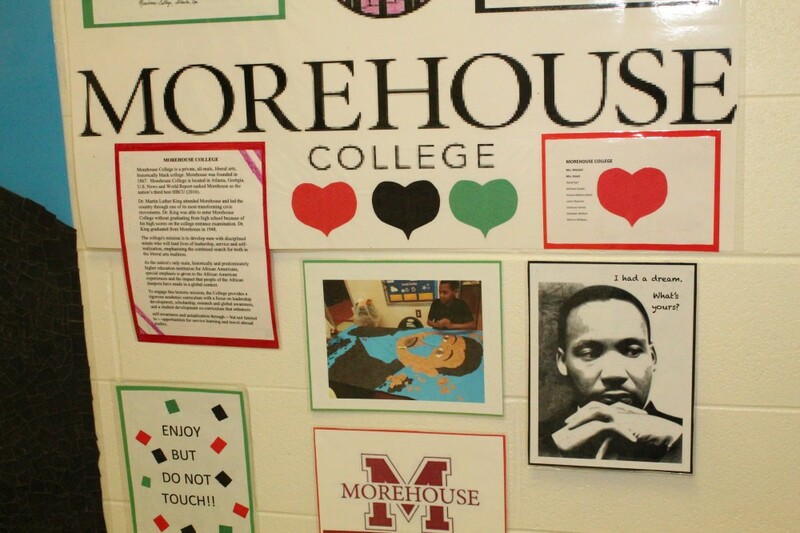 Students are consistently seeing men working in a positive environment,” Posey-Milner says. 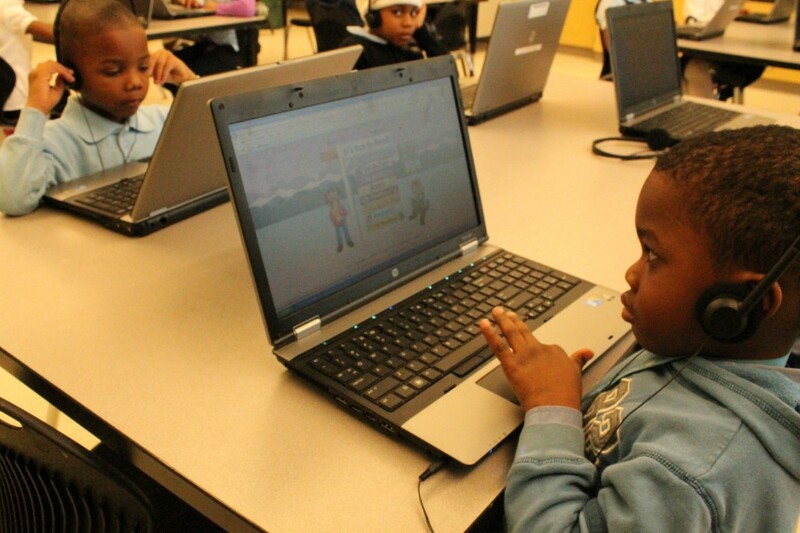 Gompers is home to the Gentlemen of Promise, a group of young men who have made a pledge to always be polite, respectful and well-behaved. 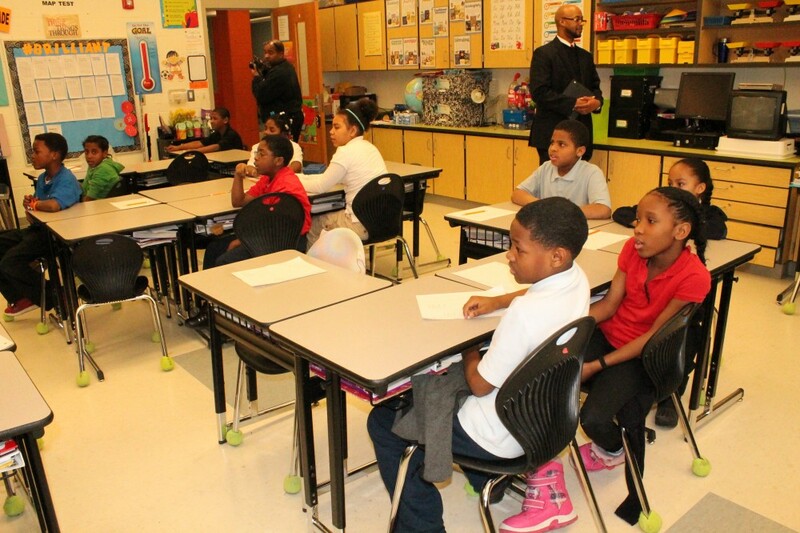 The members who make up the Gentlemen of Promise are dedicated to upholding a positive perception amongst the male students at Gompers by presenting themselves in proper attire and showcasing respectful behavior at all times. 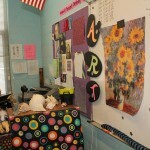 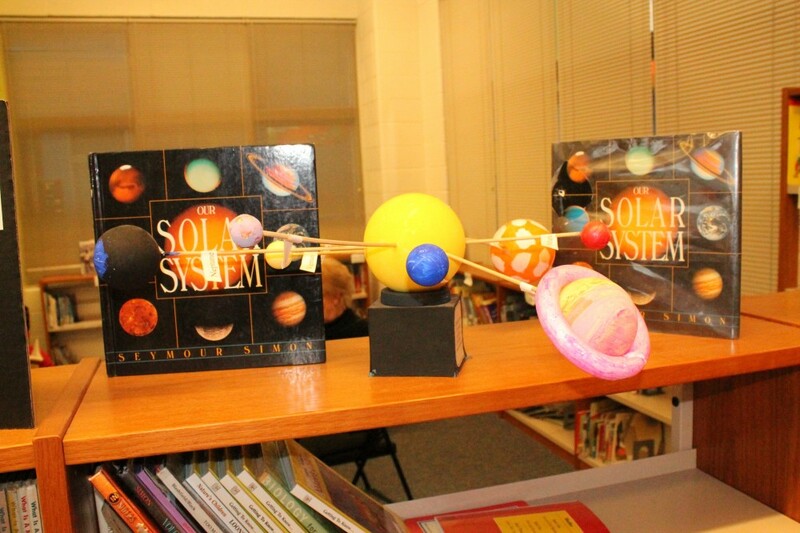 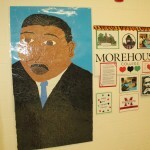 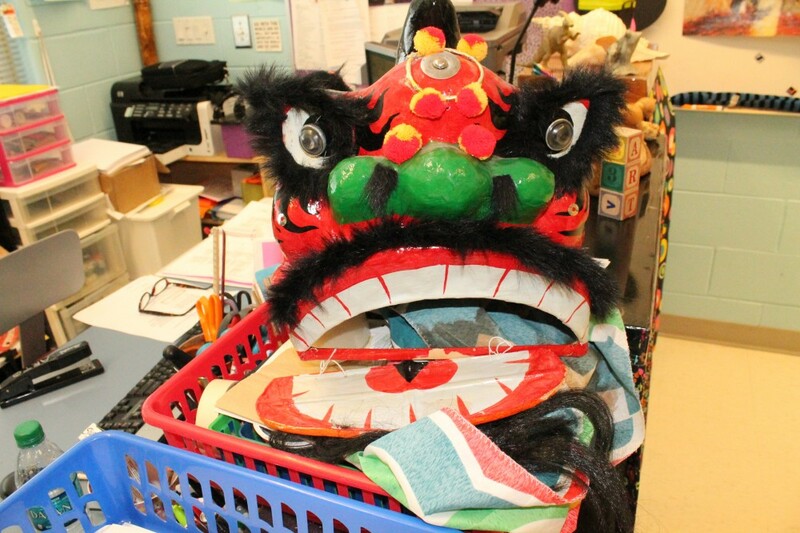 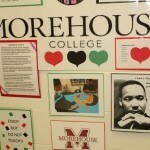 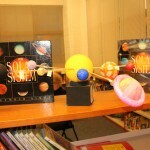 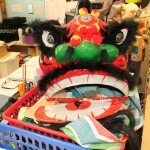 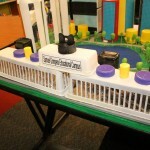 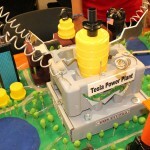 This entry was posted in Info News Center, News and Press Releases, Student Showcase and tagged 135, School of the Week.